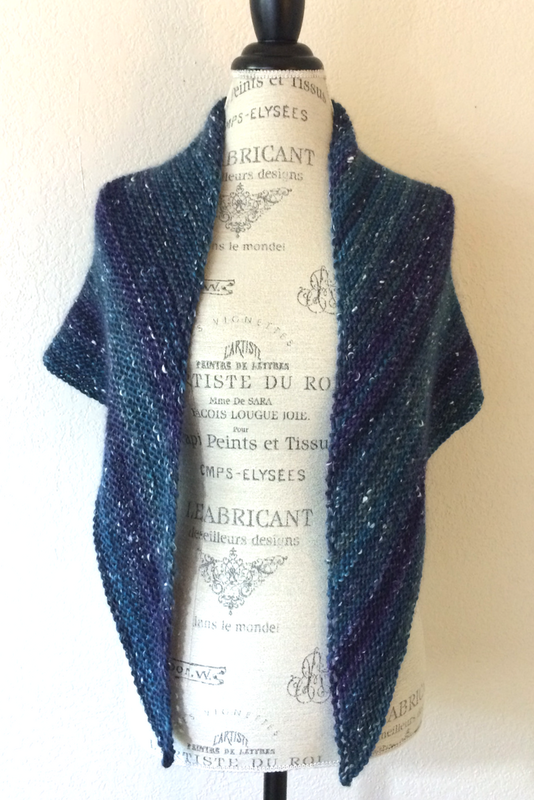 Mushishi Shawl Free Knitting Pattern - One skein project! 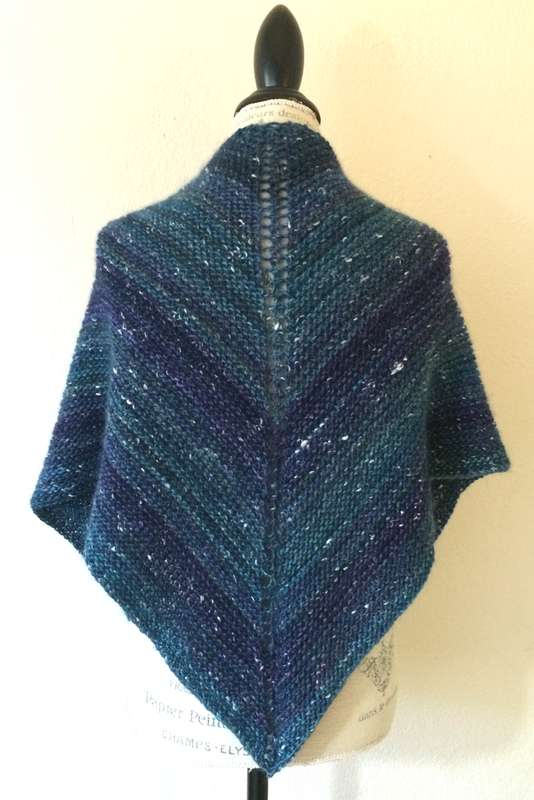 Just one skein of Mushishi yarn is all you need to knit this easy garter stitch shawl. 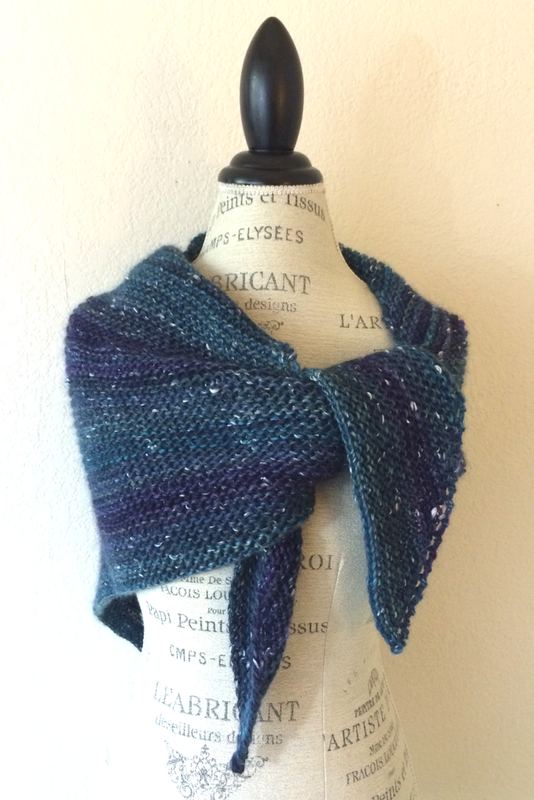 With nearly 500 yards per skein, it makes a very generously sized shawl and suitable for knitters of all skill levels. Gauge: 14 sts to 4" on US 8 needles in garter stitch.